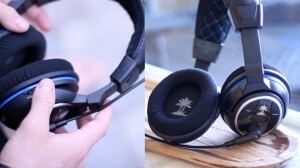 Turtle Beach is the go to manufacturer when it comes to gaming headsets, and the new PX4s definitely hold up to its brand name. These headphones are priced at about $150 which in my opinion is a bit expensive. Inside of the box you’ll find the PX4’s themselves, the wireless transmitter, XBox 360 cable, digital optical cable, headset charging cable, and PS4 cable. Externally the mic definitely doesn’t look the $150 price tag as it’s a bit cheap feeling and isn’t made of the highest quality materials. 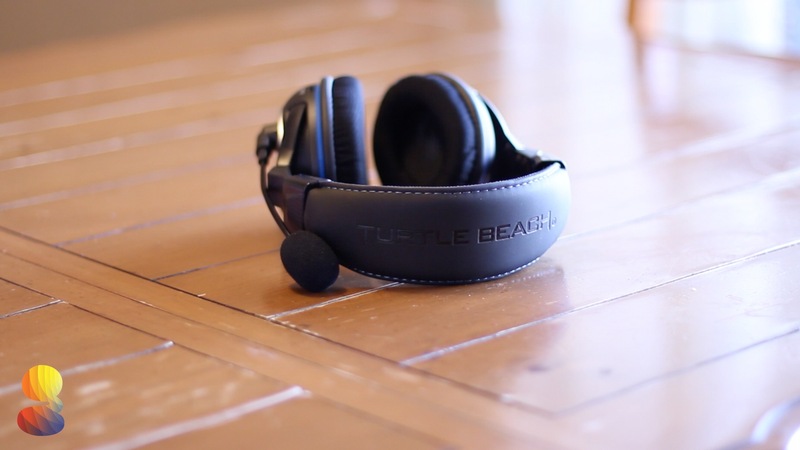 Along the top headband we can see some nice Turtle Beach branding etched in. The rotatable ear cups are made of a plastic cheaper material and are home to the myriad of buttons and switches to control audio. Underneath we can attach and detach the microphone which is nice because it allows the PX4’s to be used as a day to day headset as well. On the inside, the PX4’s house a mesh material padding which actually held up quite well to longer gaming session. As far as the audio and gaming experience, I was definitely impressed. While I’m definitely no music audiophile, I noticed a definite jump in my performance in first person shooters due to the ability to pick up footsteps. It gave a nice deep base and the surround sound was a huge step up from the cheaper headset I used. Overall, gaming performance was absolutely stellar but I would look elsewhere if you’re looking for a headset to double up as a music player as well. My Audio Technica ATH M50s definitely have better sounding audio for music, but that’s to be expected when compared to a gaming headset. 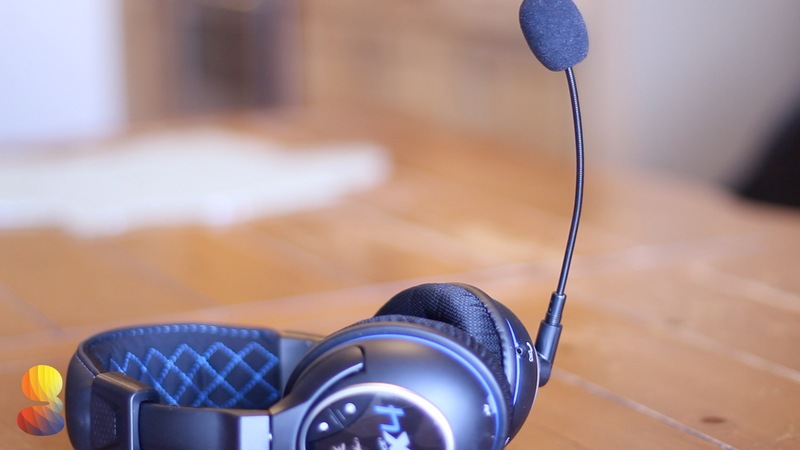 The detachable microphone worked great for gaming and skype calls and I never had any complaints from people about the audio quality. One killer feature of the Turtle Beach PX4 is that it’s 100% completely wireless which is an absolute necessity for me when it comes to gaming. While you could probably find a wired alternative for a lower price, the wireless experience is tons better and worth the extra money. It also is completely rechargeable which will again adds to the hassle free side of things. Plus, if you’ve ever used a non rechargeable headset, you know how annoying it is switching out batteries mid game. To summarize, the PX4 has wireless capabilities, a rechargeable battery, nice comfortable ear cups, and good sounding audio for gaming. On the other hand, it is a bit expensive and isn’t the most premium feeling compared to other headsets in the price range. The Turtle Beach PX4 Gaming Headset for XBox One and PS4 is definitely a great product if you’re willing to put out the $150.